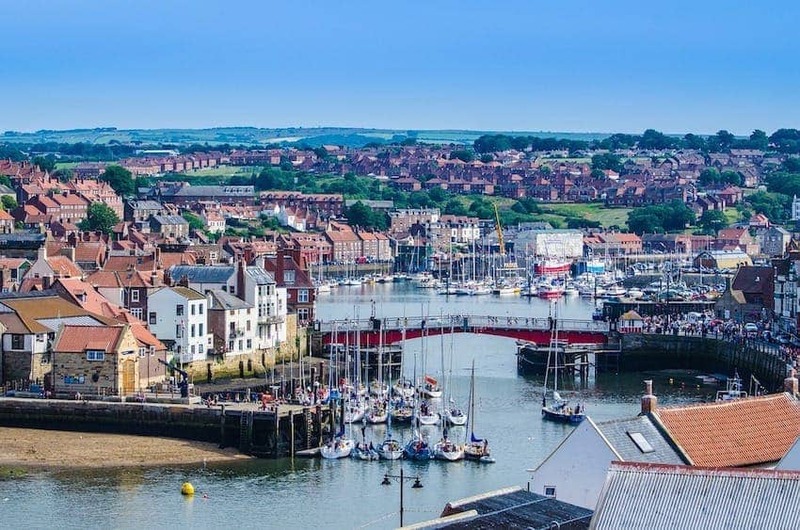 Whitby is an attractive seaside town and port on the North Yorkshire coast. Captain Cook learned seamanship here and East Cliff is home to the ruins of Whitby Abbey, where Cædmon, the earliest English poet, lived. The town also has a strong literary tradition and has featured in works such as Bram Stoker's Dracula. Tourists come for the Gothic Festival, to buy black gemstone jet and fish & chips.